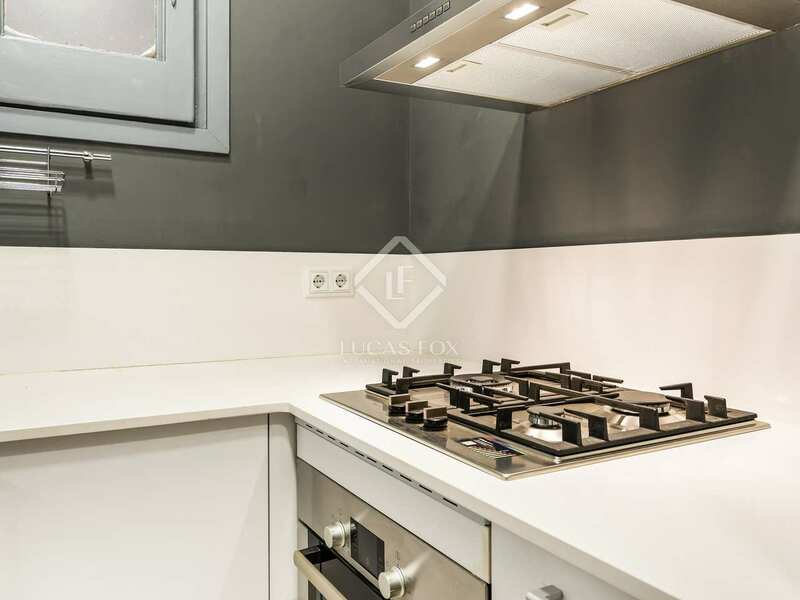 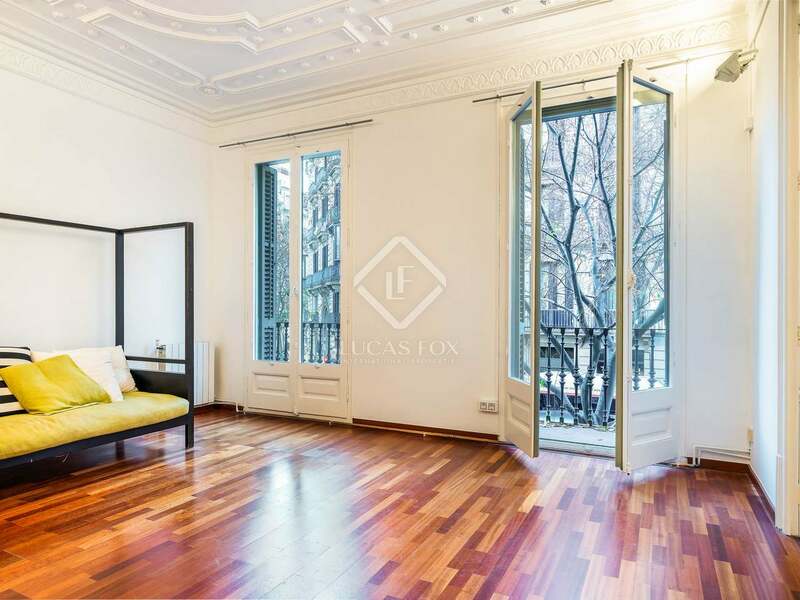 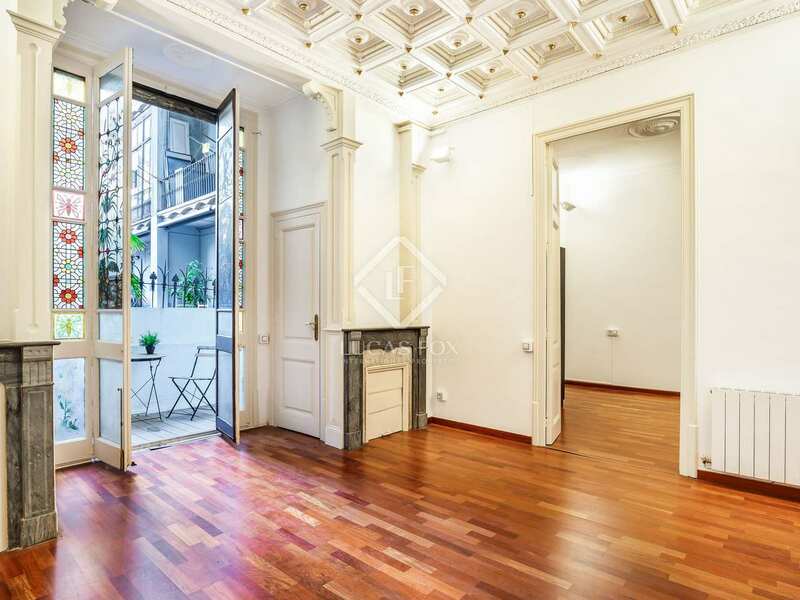 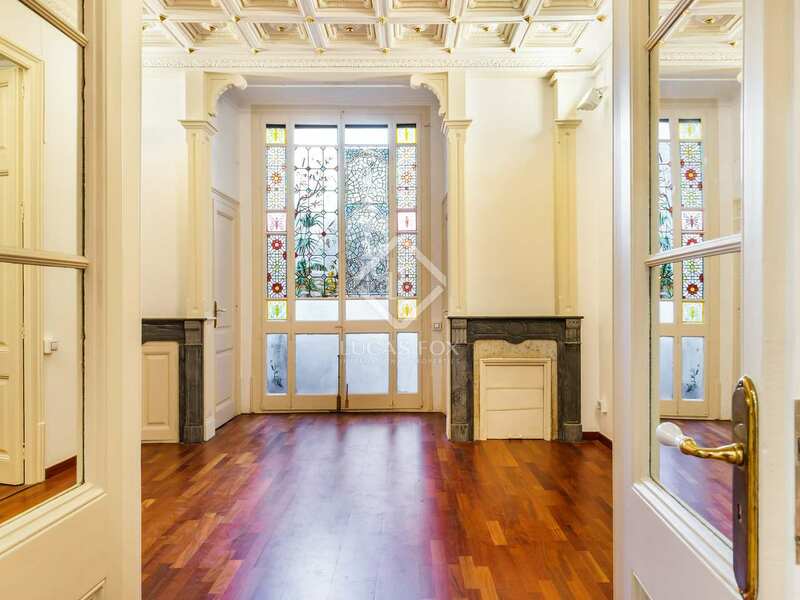 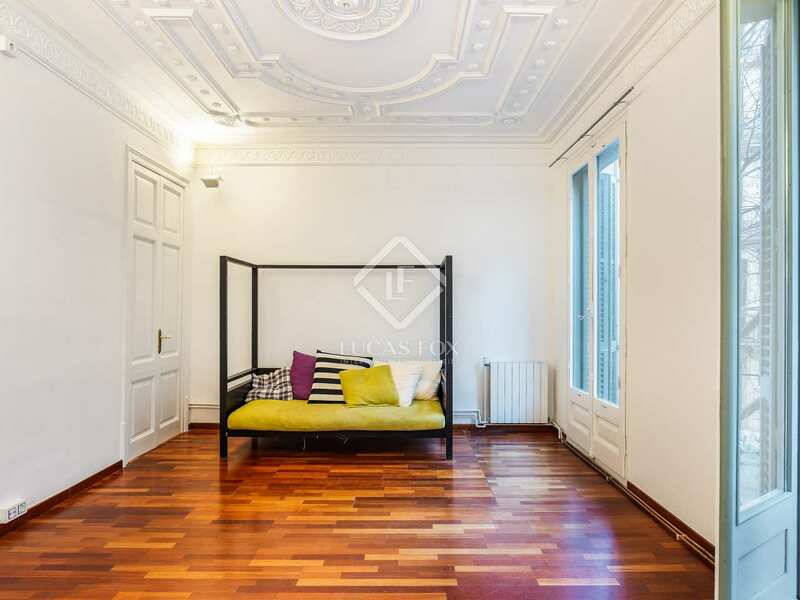 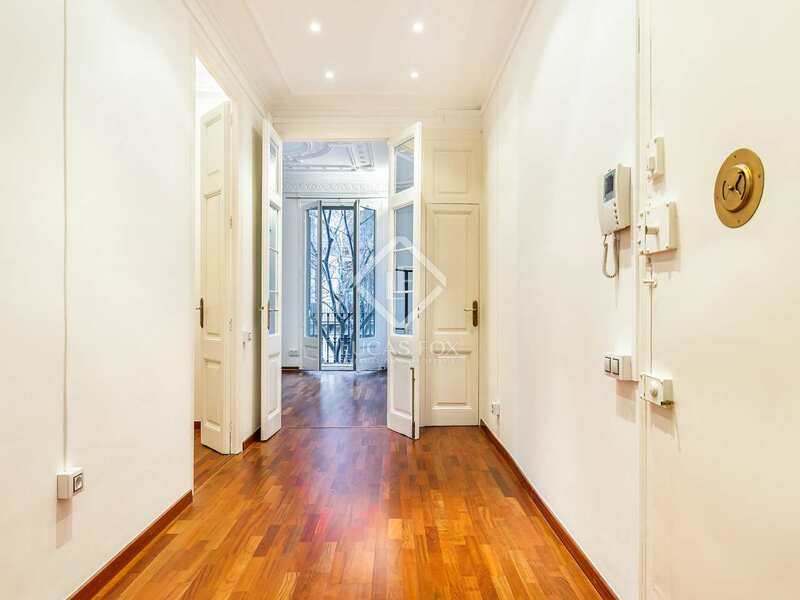 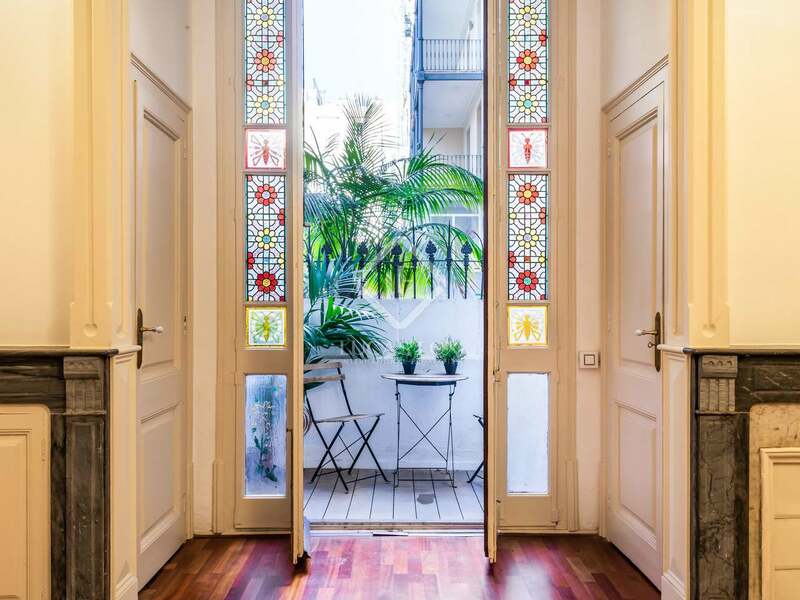 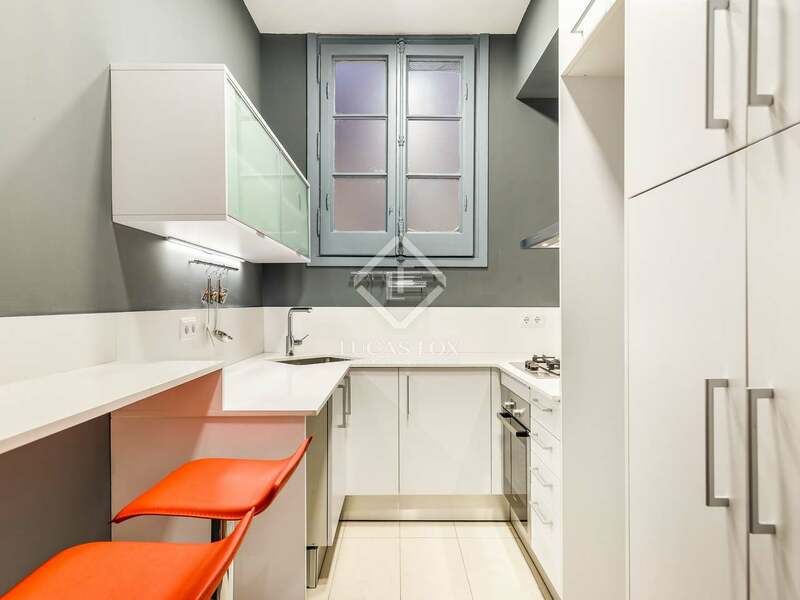 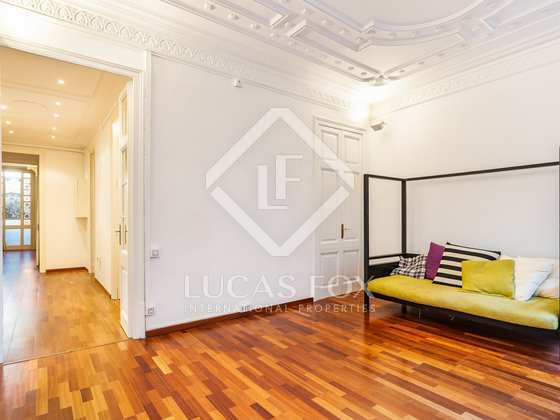 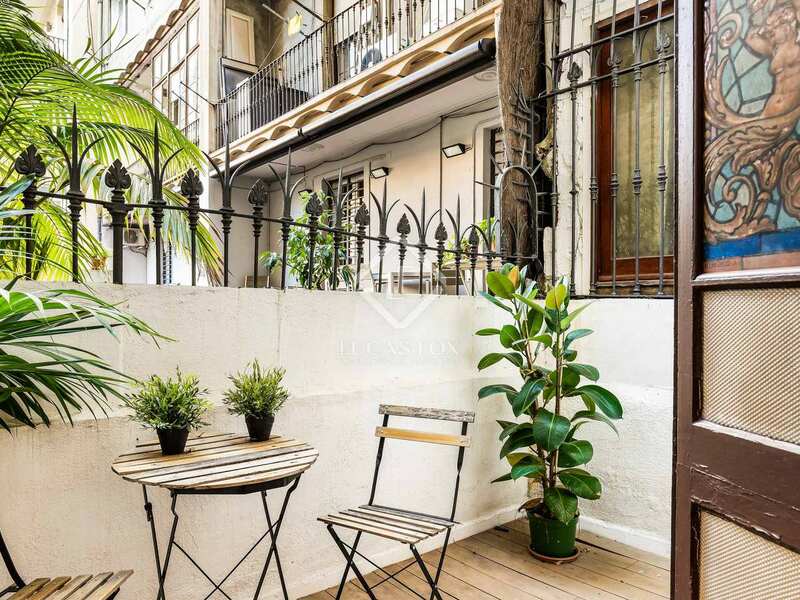 Wonderful renovated apartment with the best quality finishes and with period features, terrace and balconies. 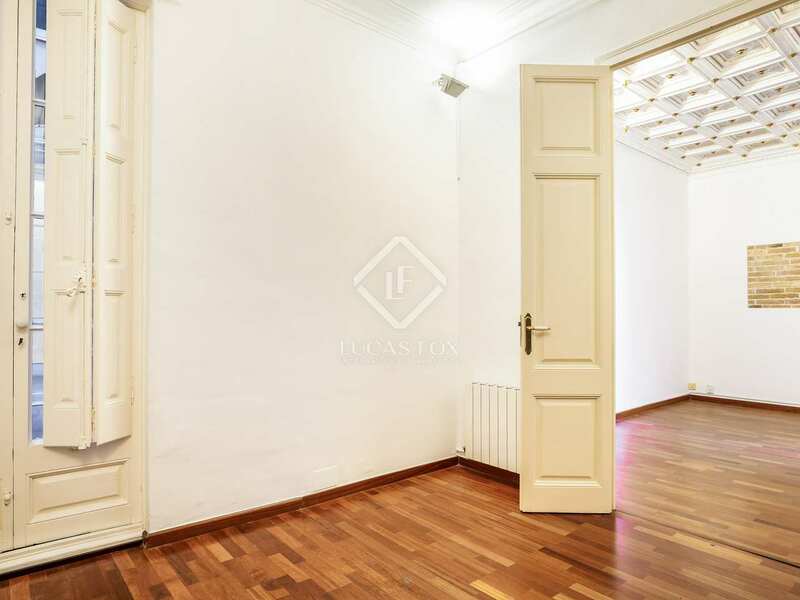 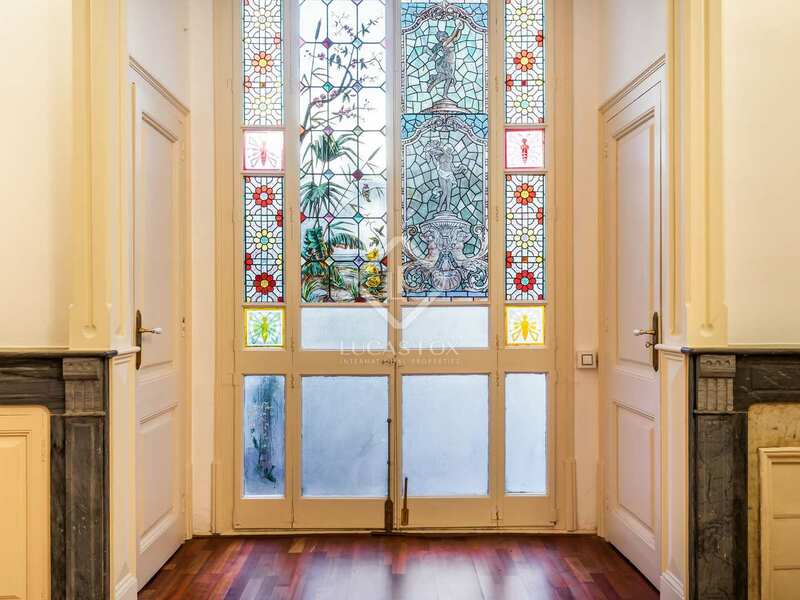 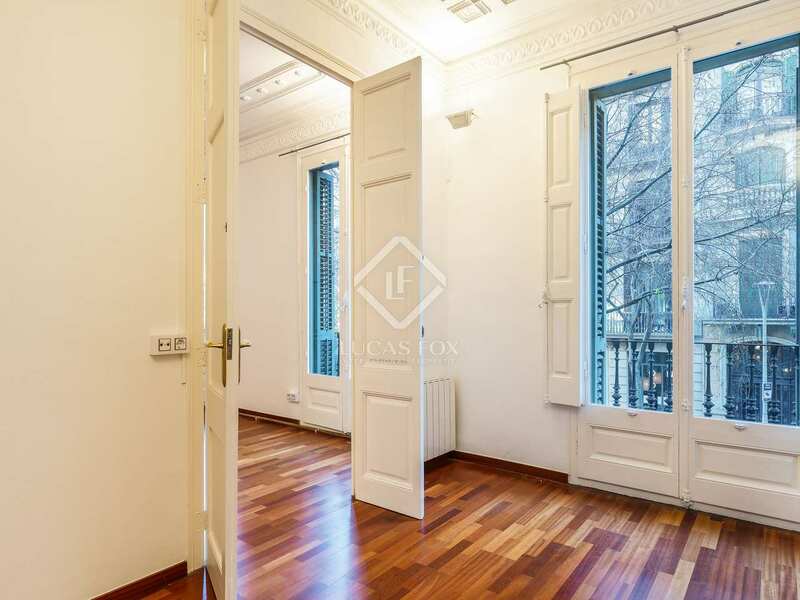 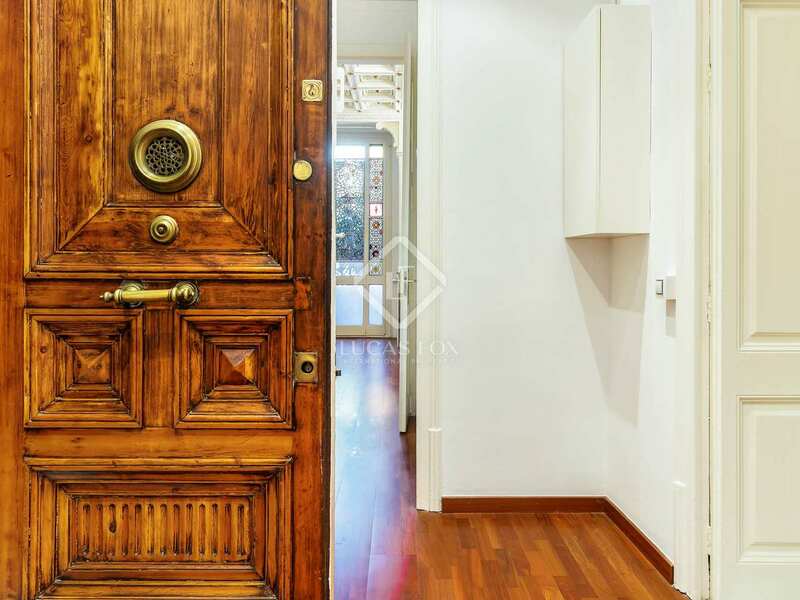 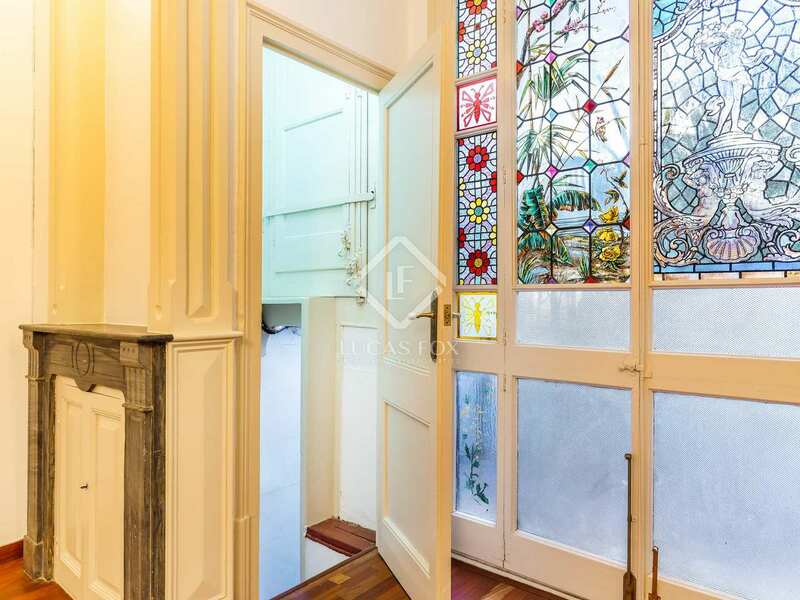 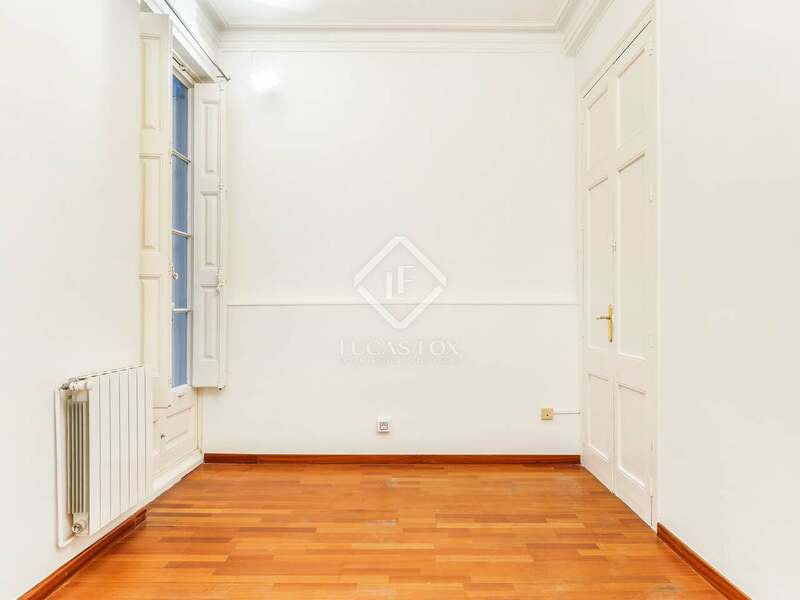 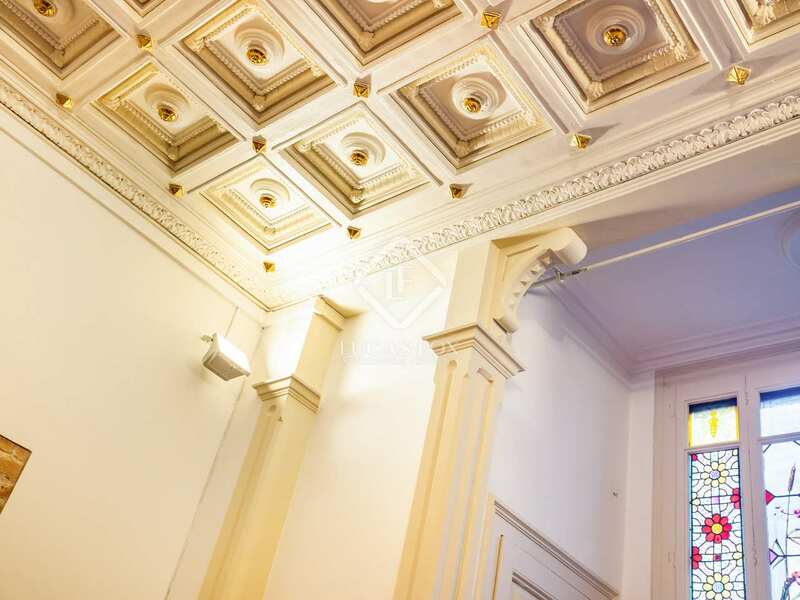 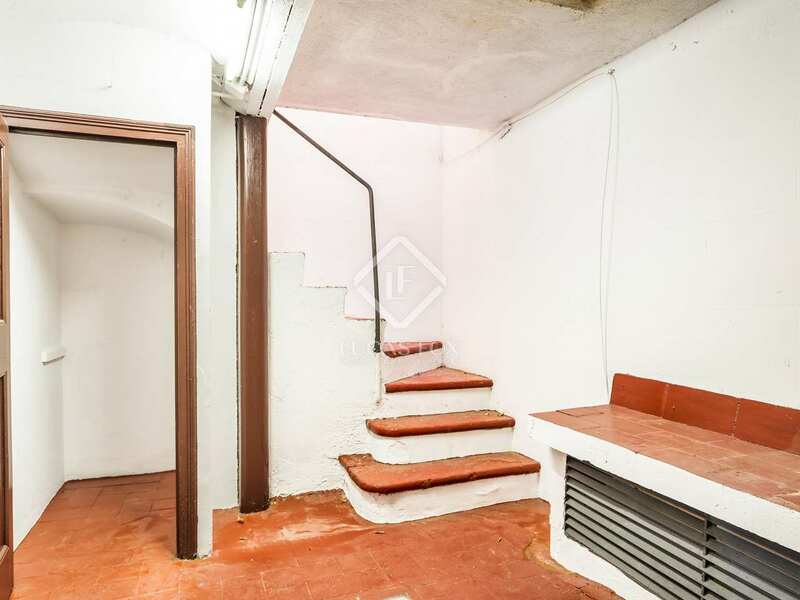 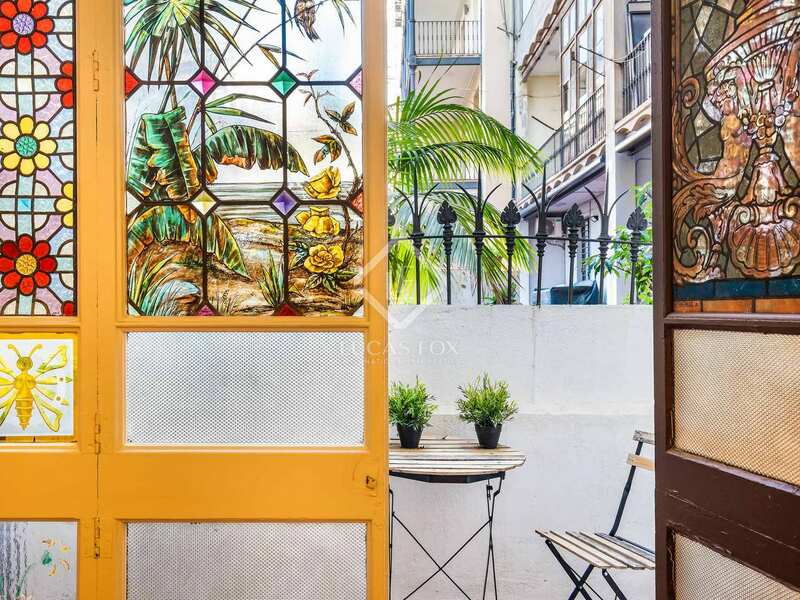 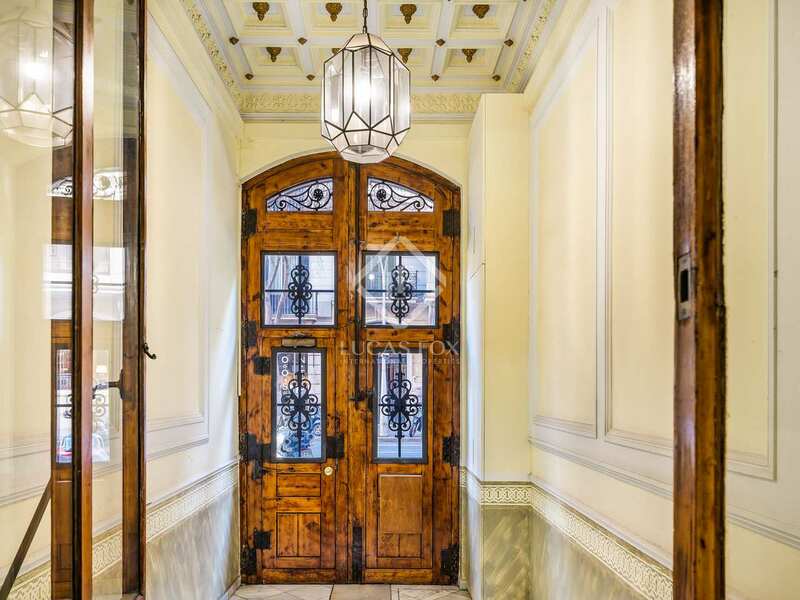 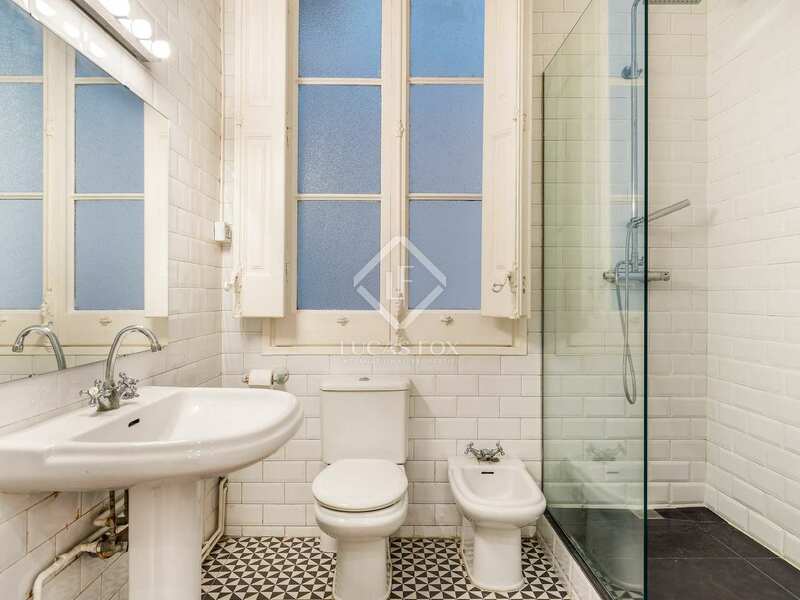 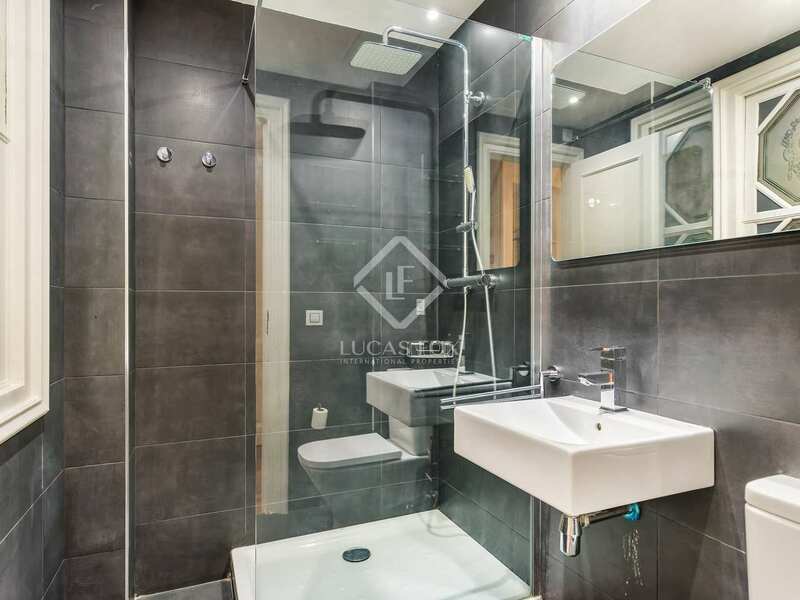 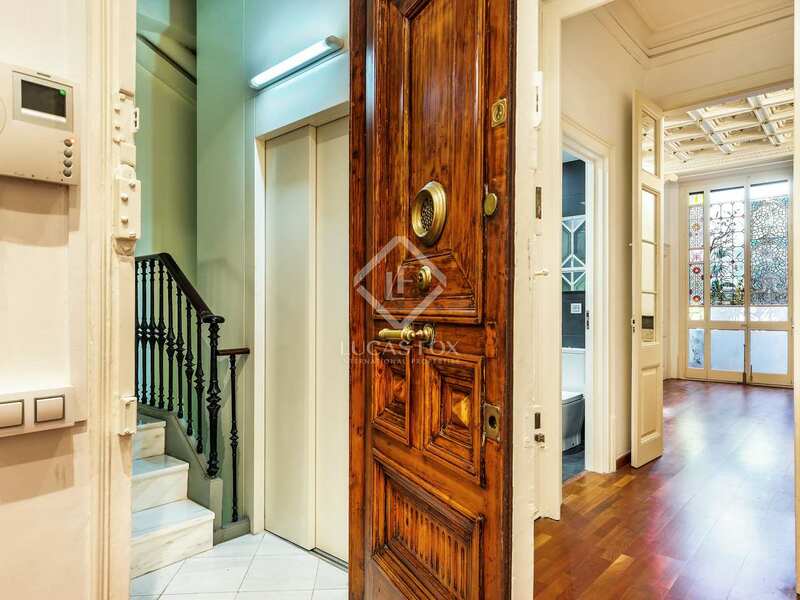 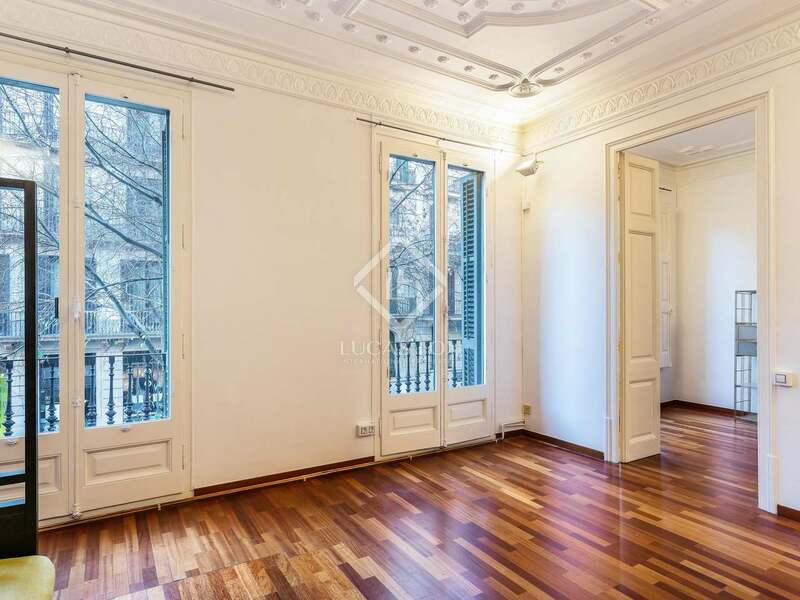 This magnificent 140 m² apartment is ready to move into and enjoys spacious pleasant rooms with beautiful period features such as high ceilings with rosettes, beautiful mouldings and even mosaic floor tiles under the current wooden floor. 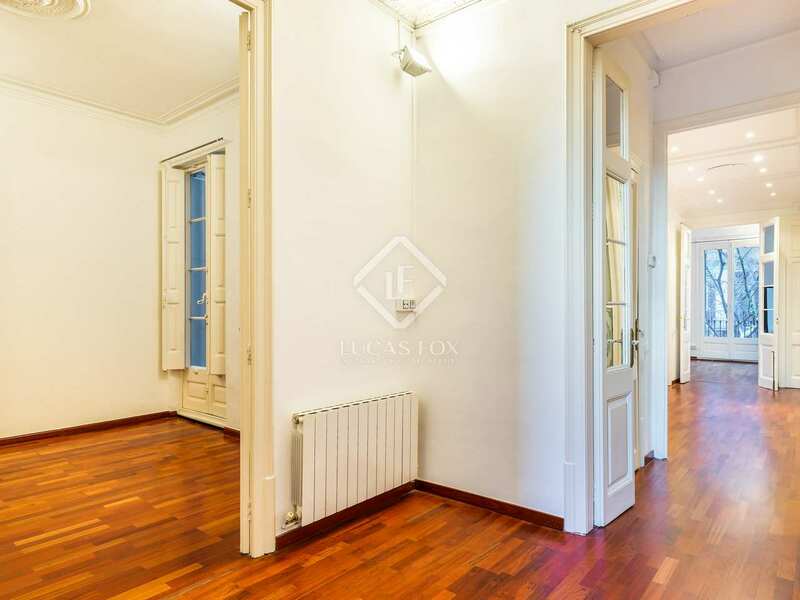 The property is located on the first floor of an impressive stately building and receives a lot of natural light thanks to its southeast orientation. 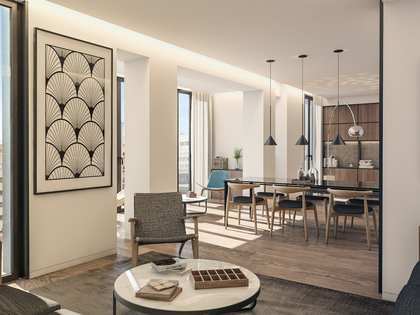 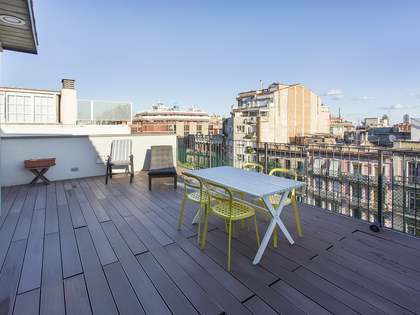 In the day area, we find a spacious living room with access to a beautiful terrace of 6 m², the perfect place for a table and chairs and to relax after a long day. 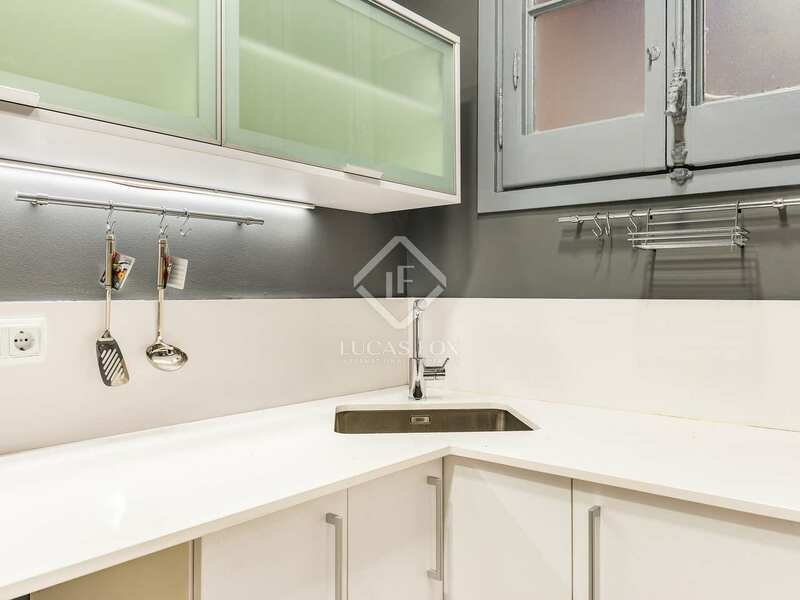 This area also has an equipped modern kitchen. 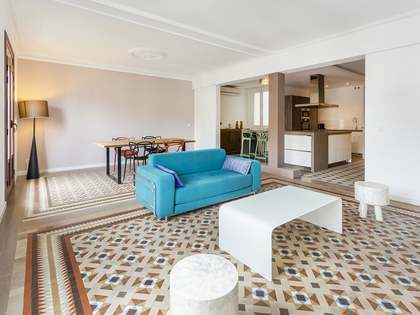 The sleeping area offers 2 bathrooms and 4 bedrooms, two of them exterior facing with access to a balcony and other two interior with access to a patio of 6 m². 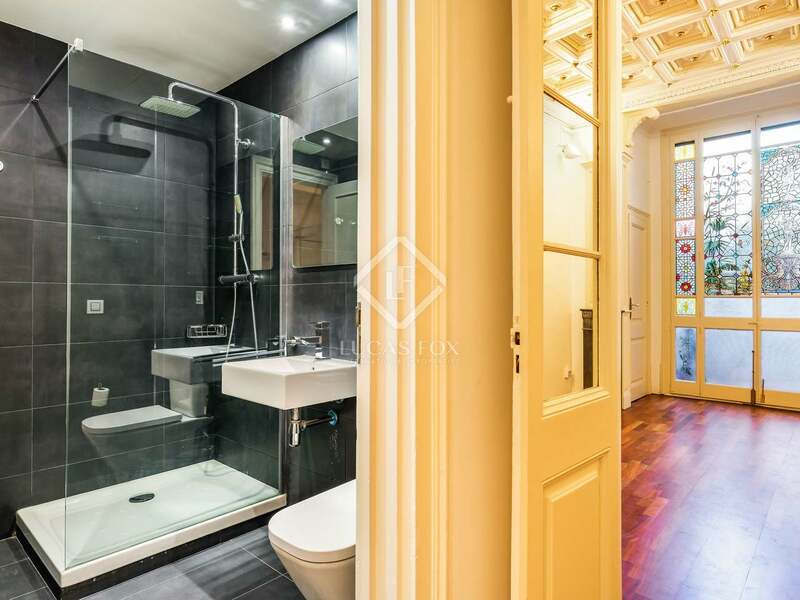 An 8.7 m² storage room completes this home. 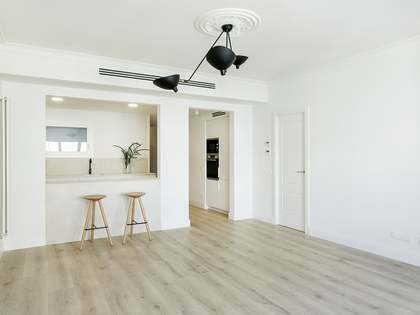 The property has heating to ensure your comfort at any time of the year. 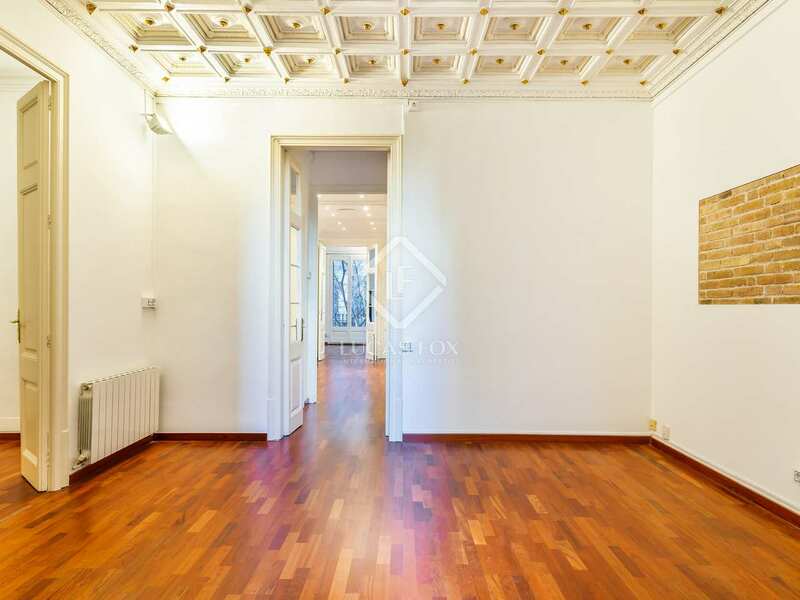 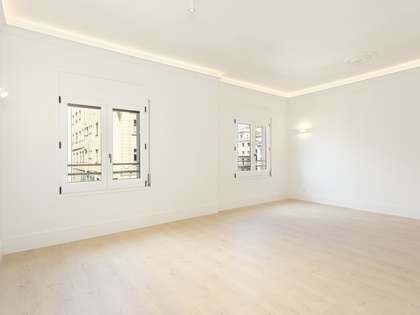 Contact us to know this magnificent renovated apartment with modernist style features. The property enjoys an exceptional location in Eixample Right, one of the most sought after areas of Barcelona, since it is a neighbourhood with all the necessary services such as supermarkets, shops all kinds, health centres, schools and even excellent restaurants and bars and fashionable entertainment venues. 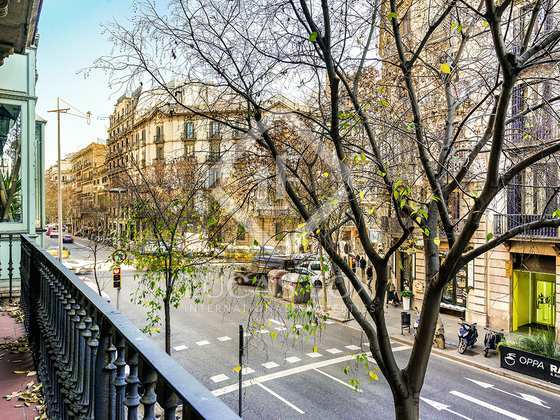 The area also enjoys excellent connection with the rest of the city by public transport, both by metro and bus.